“Fortnite” season 5 is surely exciting fans with the upcoming Week 2 just on the horizon. Week 1 has already come and gone with challenges that have asked players to look for a supply llama, follow a treasure map found in Risky Reels, and eliminate opponents in Retail Row just for starters. With Week 1's conclusion, Week 2 is bringing what appears to be a balloon sculpture pick axe as its premium prize at the end of the week. To give a better picture of what's at stake for players in season 5, “Fortnite's” cartoonishly appealing aesthetic is heavily driven by cosmetic content that is gate-locked by random item drops rather than the option to directly buy any of the available items in the game's current online store. To have a bigger chance of getting items that they want, “Fortnite” has this system where players are given the chance to win in-game items by playing the game during a 10-week period of time called a season. 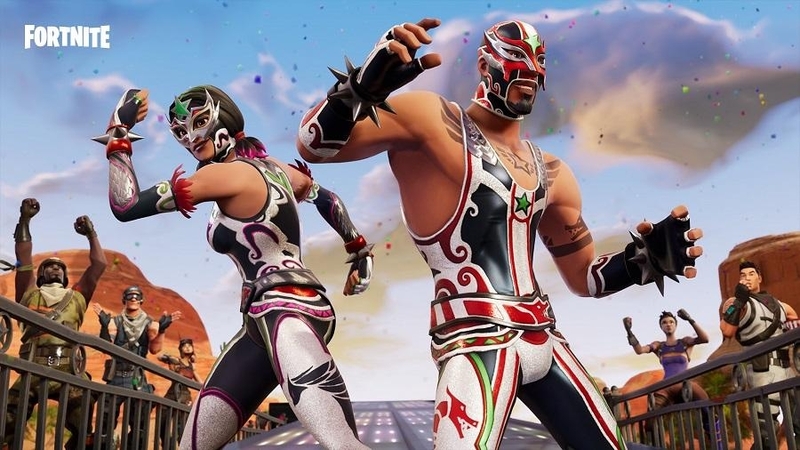 Players can increase the chances of levelling their characters up more quickly or receiving rare cosmetic items by paying a one-time microtransaction called a Battle Pass, or a premium micro-transaction called a Battle Bundle. Players who purchase the “Fortnite” Season 5 Battle Bundle no longer have to worry about grinding the first few weeks of challenges as the microtransaction purchase comes bundled with access to the Battle Pass as well as all the rewards for the next 25 tiers from the purchasing player's current reward tier. This system encourages players to log on daily and for a longer period of time to ensure that they have a higher chance of gettting the specific item that they want. Getting them to pay for the Battle Pass or Battle Bundles is just icing on the cake for Epic's breakout Free-to-play battle royale title. Deal 1000 points of damage with assault rifles to opponents. Search seven ammo boxes in a single match. Eliminate three opponents in Paradise Palms. Score a basket on five different hoops. Search for seven chests in Loot Lake. Search between an oasis, rock archway, and dinosaurs. For more information on “Fortnight” Season 5's week 2 rewards, players can visit the official "Fortnite" website's page for the Season 5 Battle Pass and Battle Bundles.